Hon. Jerry Whitehead (Ret.) - Mediator & Arbitrator based in Reno, Nevada. If you’d like a list of available dates for Jerry Whitehead , please submit a request below. You will hear back directly from Jerry 's assistant, Emily Masuko. 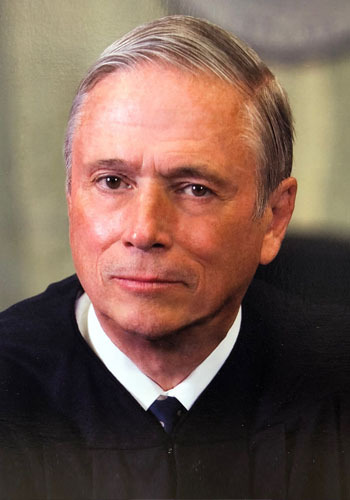 Retired District Court Judge Whitehead began his career as a law clerk first for the Kansas Supreme Court and then the Nevada Supreme Court. He had an active trial practice for more than twenty-two years, trying over 100 jury trials, primarily in the State of Nevada. He was the co-author of the Nevada Pattern Civil Jury Instructions. During that time, he was also the Chief Tribal Judge for the Paiute Tribe. He was then elected to the Second Judicial Court bench and served as its chief judge. While Judge, he presided over 300 jury trials throughout Nevada. He was appointed on multiple occasions to sit on the Nevada Supreme Court for an absent Justice. In 1996 he opened his office for mediation and arbitration. Since 1985 he has conducted in excess of 4,400 mediations. The mediations have been conducted on cases from twenty-nine states and overseas. These cases have involved individual settlements ranging from $100,000,000 to in excess of $500,000,000. He has taught mediation courses at the National Judicial College and numerous legal and bar associations. He has lectured at Emory University on trial practice and conducted many other legal seminars. He now provides dedicated facilities at his office in Reno where larger mediations may be comfortably housed. He also frequently travels out of state. Washburn University of Topeka, KS, J.D. Judge Whitehead received the National Herbert Harley Award of the American Judicature Society for “a significant breakthrough in the battle against court delay and escalating costs to litigants through the formulation of model procedures worthy of replication on a national scale." Selected as the Nevada Judge of Distinction for the State of Nevada by the Nevada Trial Lawyers Association. Selected “Judge of the Year” by community groups such as the Washoe County Medical Association, Reno Police Protective Association, Boy Scouts of American and local labor unions. Received A Proclamation by the Governor of the State of Nevada recognizing his “many innovative changes in the Second Judicial District Court” and commending the judge for his dedication and numerous contributions to the law. He was awarded the Lifetime Achievement Award from the Nevada Trial Lawyers Association. IN BUSINESS: Judge Whitehead is a former developer of a residential subdivision and the former owner/operator of a retail business. He has been for 25 years the owner-operator of a Nevada cattle and hay ranch where he raises purebred Red Angus cattle and produces hay. PERSONAL INFORMATION: Judge Whitehead has been active in downhill skiing, marathon competition, sailing and National Cutting Horse Competition. He is beginning to compete in the I.D.P.A. He maintains residences on his ranch in the Ruby Mountains of Northeastern Nevada and in Reno, Nevada. He is the father of 5 children and has 18 grandchildren and one great grandson.